Back in July, I posted my own version of a 2 sentence horror story after reading some of the ones on Reddit. I had drawn a comic after making the post, but had my scanner unhooked for a while, so I couldn’t post the comic version of this masterpiece. 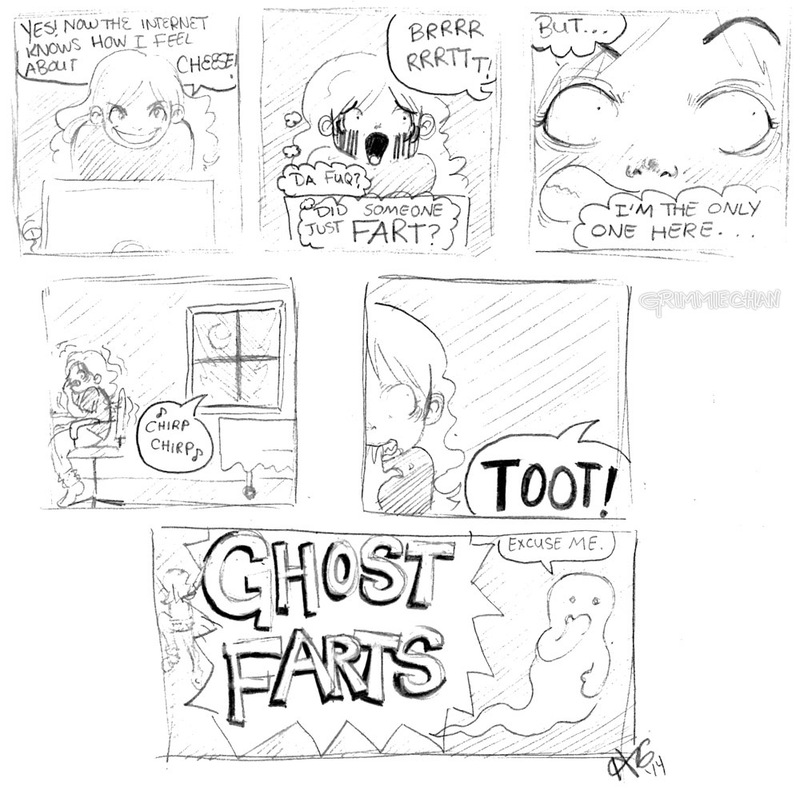 I now present to you: Ghost Farts – the comic.